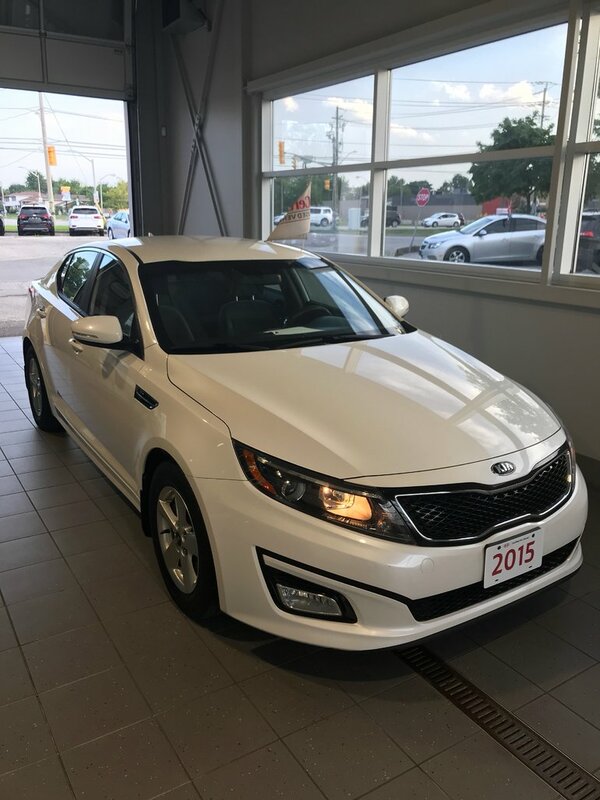 The Snow White Kia Optima 2015 is a one owner vehicle with only 53,000km! The five-seat Kia Optima sedan has an upscale interior featuring top-quality materials that are unexpected in an affordably priced sedan. Powering the front-wheel-drive 2015 Kia Optima is a 200-horsepower four-cylinder engine that generates zippy acceleration for both city and highway cruising! Interested by the 2015 Kia Optima LX at ?